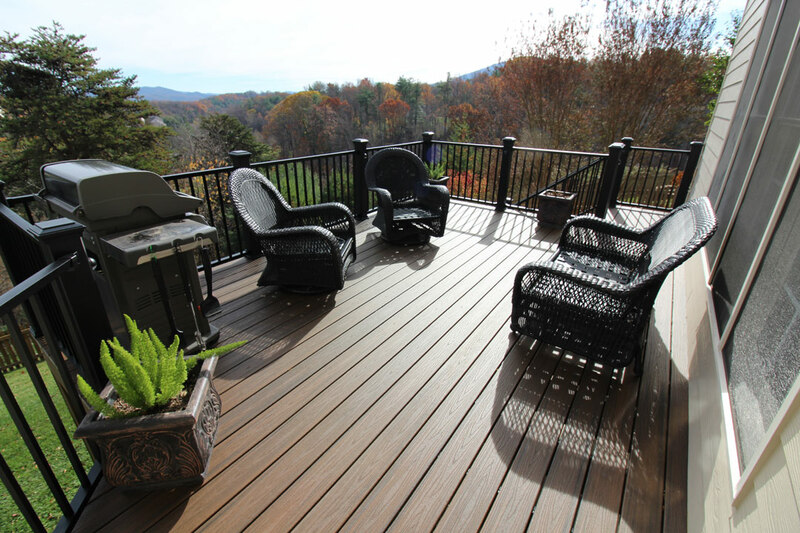 Do you have one of those old pressure treated decks that looks more like a junk pile than a deck with style? 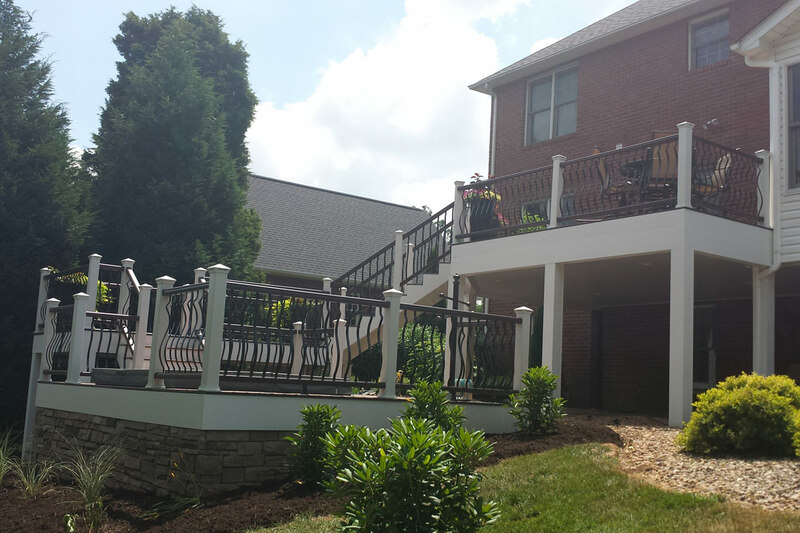 Are you dreading another year of pressure washing and staining only to think you will have to do it again next year? If this is you, then we can help. We are Trex Pro Platinum Installers, Azek and TimberTech Silver Installers and Fiberon Pros. So what does this mean to you? 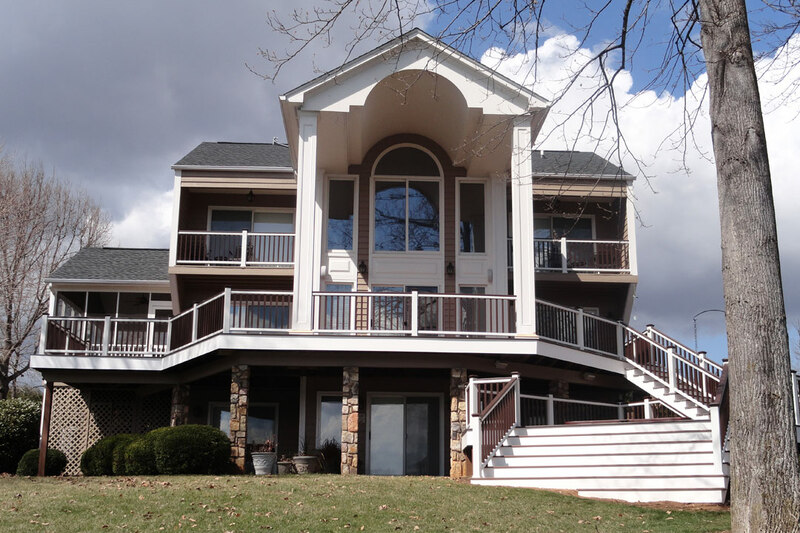 We have achieved advanced product and installation training that make up a select group of talented and dedicated professionals experienced with using Trex, Azek, TimberTech, and Fiberon products. 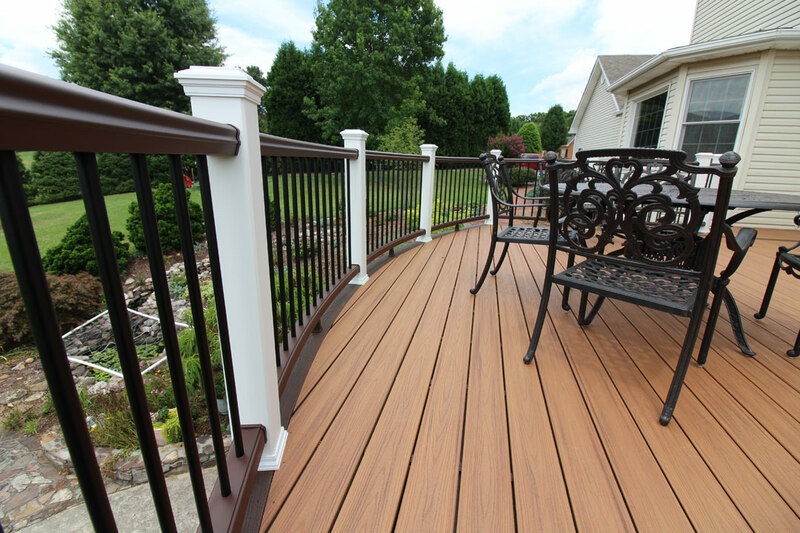 The next generation of composite decking now includes cap stock and PVC. This has greatly improved the performance and durability of the product. Many styles and colors are available to compliment your home’s exterior and give you the best project that you can enjoy for many, many years. 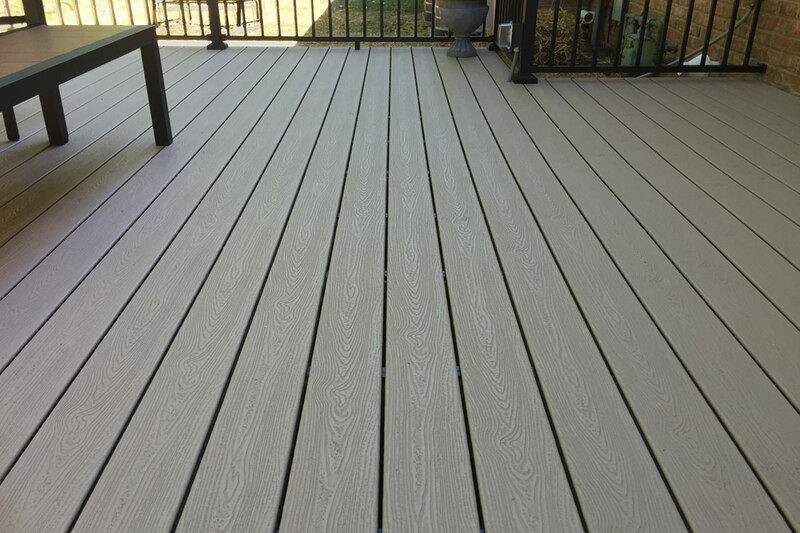 Not only has the material changed for decks, but also the design and function. 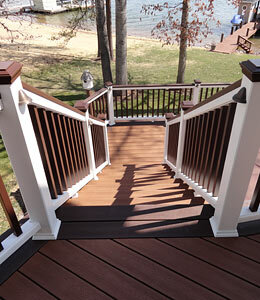 In the past almost every deck was built in a square shape with flat handrails and square balusters. Not a lot of thought was put in the design or function of the deck. 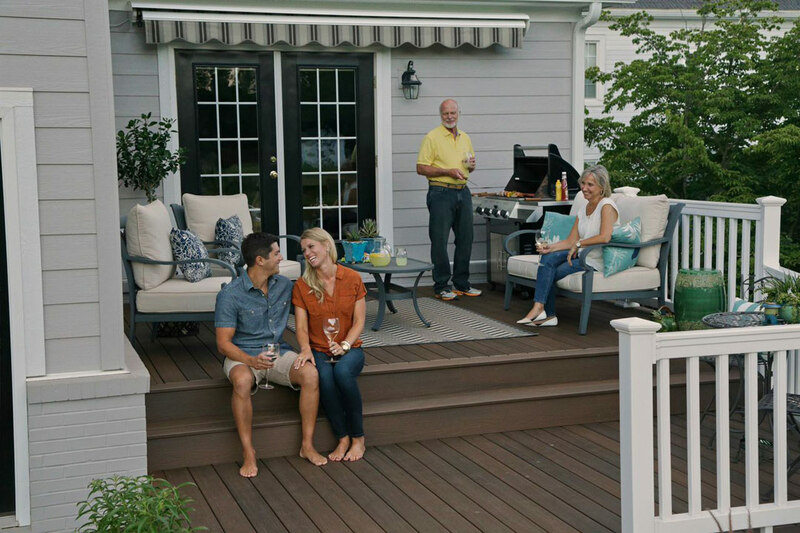 Now decks are built with different angles or even custom curves and are designed to enhance your outdoor living experience instead of just a place to walk out your patio door. 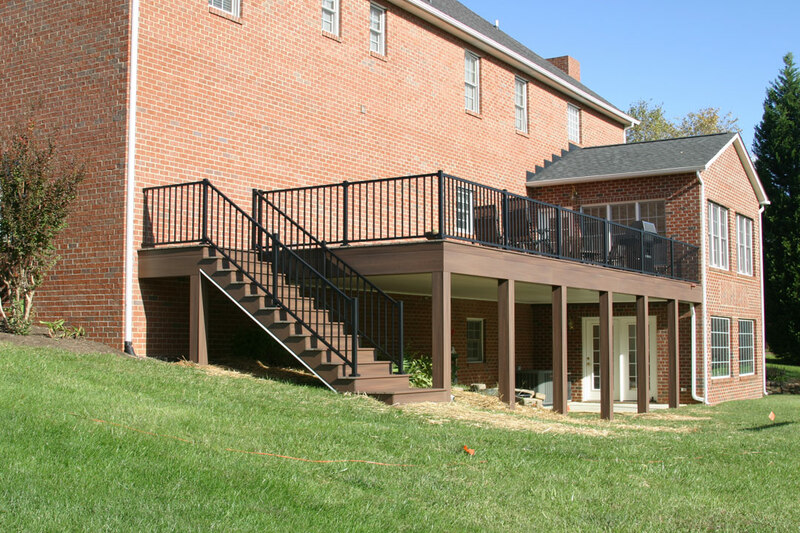 Railings come in many different shapes and a variety of materials. 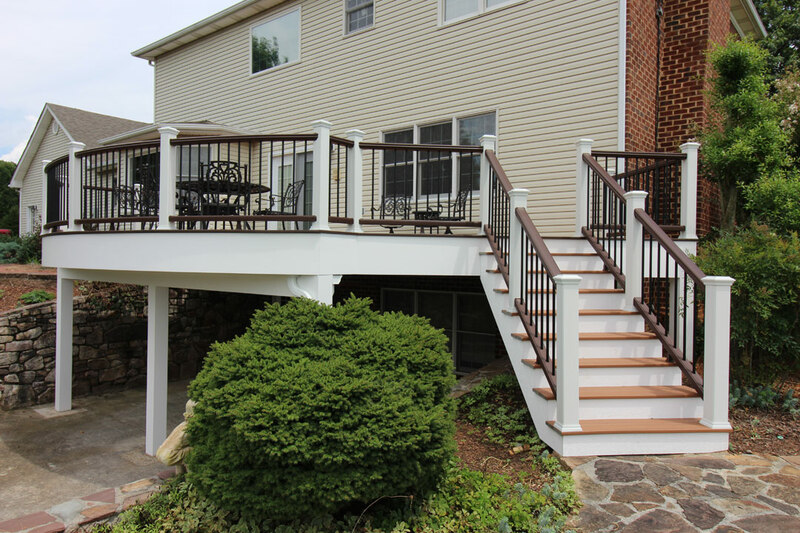 Different color choices are available along with decorative balusters, glass, or even stainless steel cable railings. 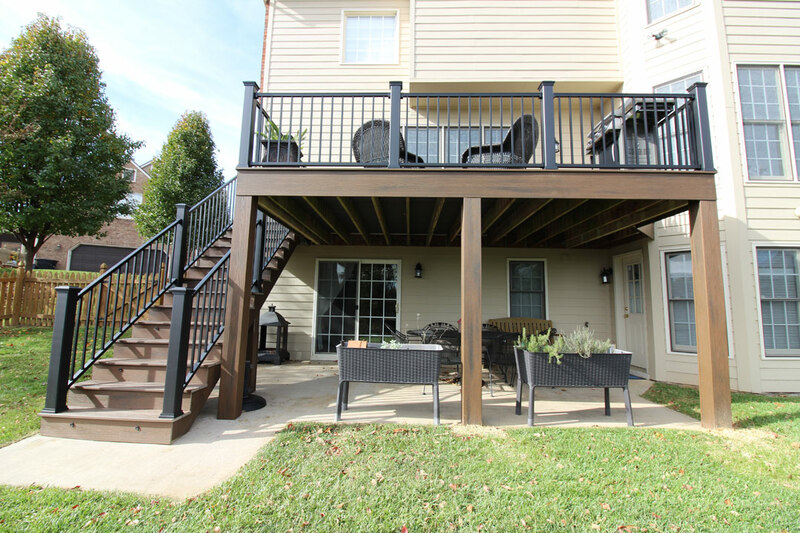 Low voltage post cap lights and deck lights are also options to consider when planning your deck project. 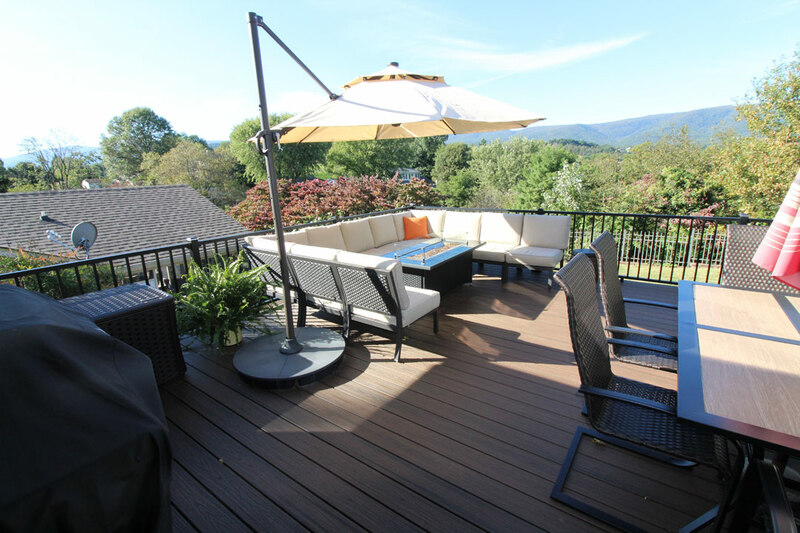 Take a look at some of our custom decks to see what we can do for you!